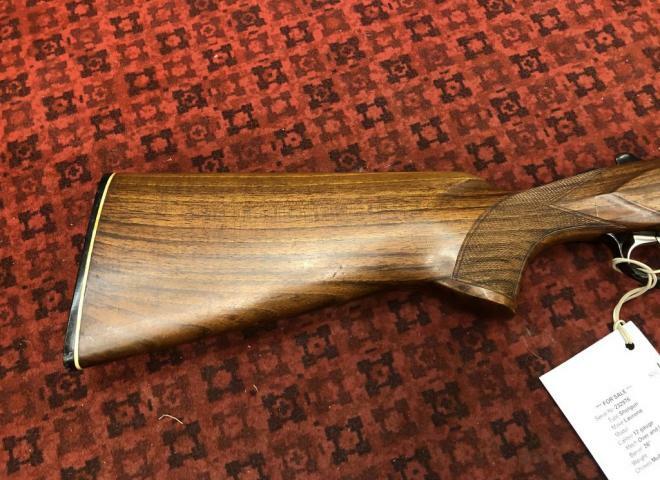 Superb value for money - A Laurona sidelock with chopper lump barrels, retaining virtually all case colour hardening, and in very good original condition. 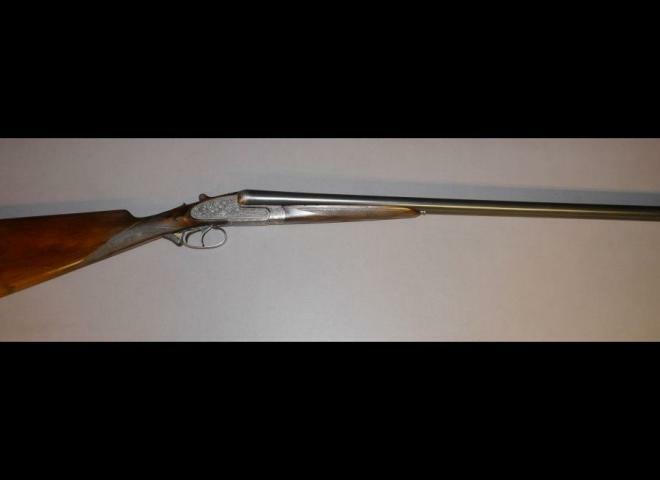 A DBHE 12b Laurona side by side ejector shotgun for sale. Either trigger can be used as a single. Very nice Laurona double trigger over and under taken in px. 3" Magnum chambers. Bargain price gun as a recent trade in. 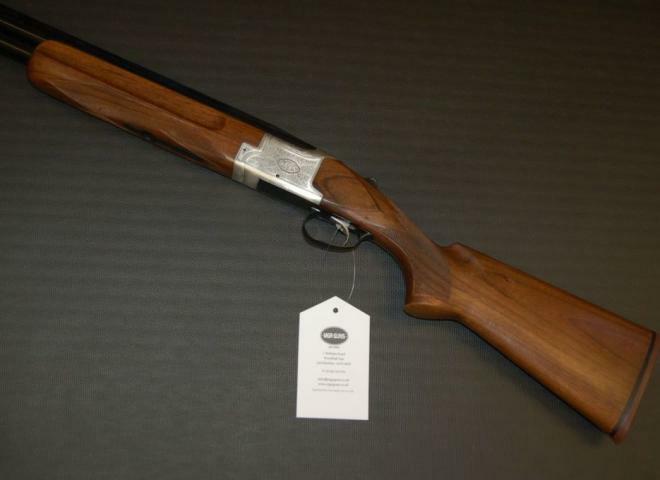 A great shotgun for the money! Cheap to clear, all in good working order, no warranty offered. Front trigger fires bottom barrel. On recoil front trigger can be pulled again to fire top barrel. fair condition, ideal rough, pigeon gun. good working order. double trigger. Great little gun. Its had a repair on the fore stock. It would make a great pigeon gun or a started gun. A nice good condition sidelock ejector retaining 85% colour hardening finish on the action. The nicely figured stock has a 1" wood extension fitted. This can be easily removed and heel plate refitted. 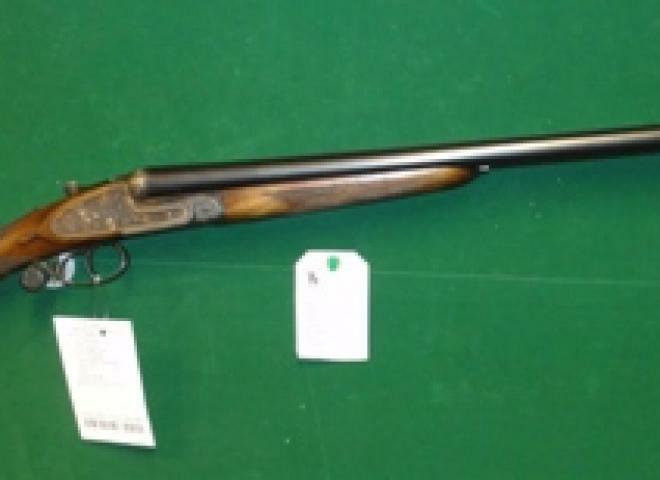 12b Laurona s/b/s, 29 1/2" barrels, LOP 14", boxlock, ejector, double trigger, auto safety, good condition.